My name is Sebastian and I am looking for a forever home. 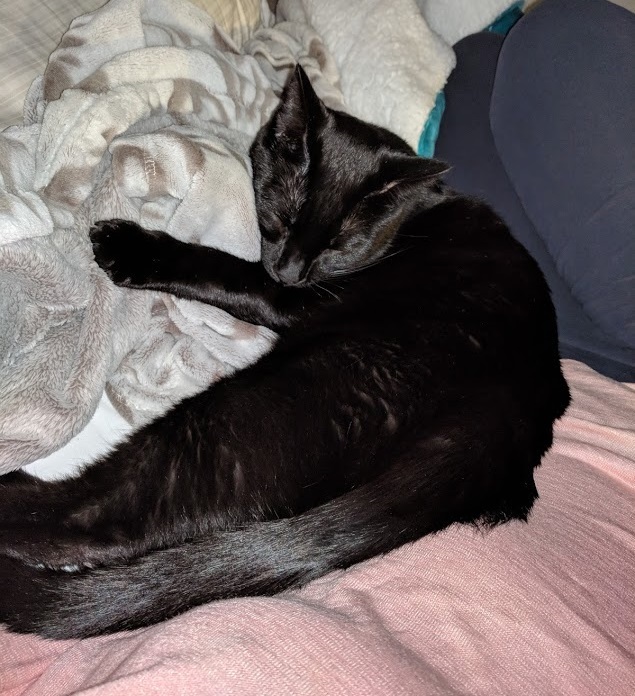 I am a handsome and shiny black domestic short hair male who is approx 2 years 3 months old, with a white star on my belly. I’ve been neutered, my shots are up-to-date, I have no medical needs, and I am chipped. I have NOT been declawed but I never claw furniture or chew on wires because I’m very considerate! My favorite activities are toys, getting scritches on my face, greeting you when you come home, telling you about my day, and getting brushed. I grew up from a little kitten in the humane society, so I have been around other cats before, but now I live with no other pets. I would probably make a great partner with another mellow cat who wouldn’t boss me around, but otherwise I am fine by myself. 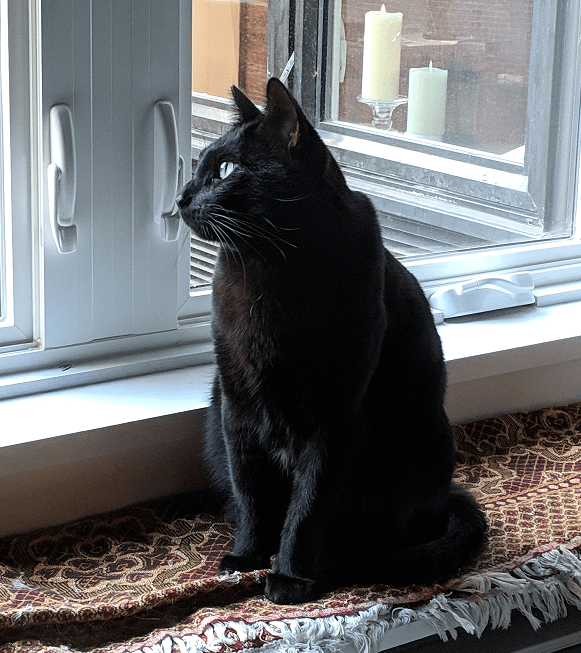 I love to sit in the window sill and look out at the world, but I am a 100% indoor “apartment cat.” I am a bit shy and skittish with new people but super affectionate once I warm up to you. I will start by snuggling with your feet when you’re sitting down or by your side while you’re in bed. If you like cuddles and kitty conversation, call/text Stef at 213-373-1383.